Ali Driben, a member of the Mainline Reform Temple, joined other members of her synagogue one Sunday to walk our greyhounds here at National Greyhound Adoption Program. 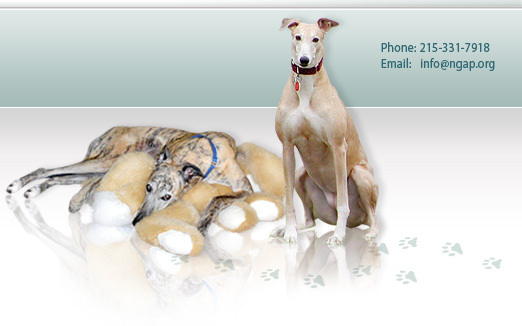 She and her family enjoyed it so much that she decided to base her Bat Mitzvah project on something that would benefit the greyhounds of NGAP. Ali started a letter writing campaign and sent letters to everyone her family knew asking them to donate money to NGAP. 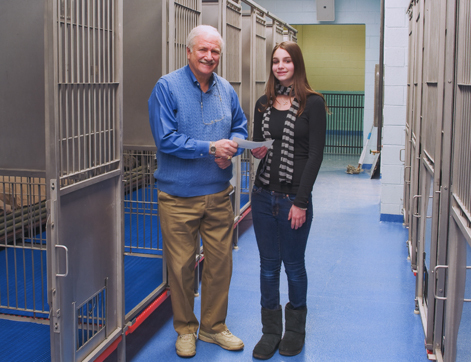 Now that her Bat Mitzvah is drawing near, she and her parents made a trip to our new kennel facility and presented NGAP with a check for $700.00! And from what we understand, more is coming! 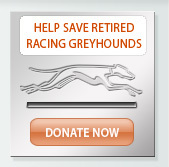 This kind of a project is a win-win situation for everyone - especially our greyhounds. 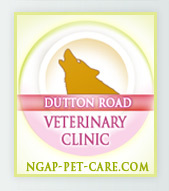 NGAP would like to extend a sincere thank you to Ali for thinking of NGAP during this special milestone in her life. On April 9, 2009, Ali sent us an additional $125.00 that she raised for her Bat Mitzvah! We thank her again for her efforts.